It is known that one of the biggest challenges of making your startup a success is to be able to manage your cash flow efficiently, especially in the early days. A healthy cash flow is paramount to keep the company afloat, to grow and achieve success. Understand the principles! There’s inflow and outflow of cash! – the faster your startup grows, the more cash will be required to develop the business, new products/services, hiring additional staff. These are all additional costs you need to account for. Find cash flow management templates online. Startup Direct offers free cash flow forecast templates, please email us at [email protected] if you would like us to send you one. Don’t be afraid to ask a mentor to help you with your cash flow forecast, they can be tricky. 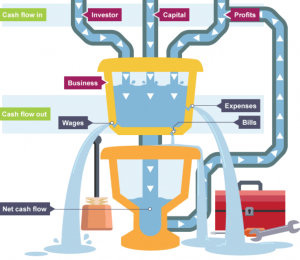 Once you crack your cash flow, you’ll be on track to accelerate your business and achieve startup success!